"When tragedy strikes, seventeen year-old Ashton Blake sets out on a cross-country road trip, leaving the comforts of Malibu for the mountains of Kentucky. Along the way, she encounters Gabe Willoughby—the mysterious drifter with eyes like the sea and a knowing smile. Getting to know Gabe raises questions about her past. But no secret can be buried forever, and Ashton soon finders herself in a world where water is air and myth becomes reality. Just as Ashton comes to accept her newfound heritage, she’s summoned to fulfill a treaty laid down centuries before — a treaty that will divide her love and test her loyalty. In the end, her future isn’t her biggest concern, her humanity is. To run may mean war, but is she strong enough to stay?" As soon as I saw this book, I was intrigued. It did have a way of sucking you in from the beginning and kept you reading to find out more. Collier brought me into the world of Nymphs in a really great and clever way. I will say that I think there were some plot issues, like the beginning never being truly explained, that bugged me. However, with there being more books in this series, I'm sure things will be answered. The characters were well-written. Though Ashton was pushed into this new world, I like how she kind of learned as she went. Though I do believe she could've maybe asked a bit more about this crazy change into a new world, I thought she handled it in stride. I really wanted to like Ashton with Gabe, but I just couldn't do it. Even after a few weeks from reading it, I can't figure out why he just didn't do it for me. He was yummy, had that young rebellious thing going on...but I just couldn't accept him as a fictional book boyfriend. Don't get me wrong, their scenes were hot and I loooved how cute they were together with all the nicknames, cuddling and all around swoon-fest, but their relationship just didn't feel real for me. I think with a little development, it could've helped me love him and them a bit more. My favorite character was probably Ashton's BFF, Kyle. He was just so cute and boyish that I wanted to hang with him and eat ice-cream. Overall, I think this was a pretty good start to a new series. 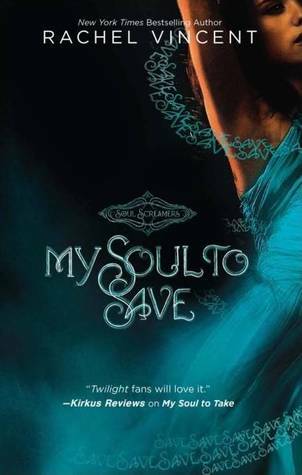 Collier kept me trying to figure it out to the end, and I want to see what happens next in Ashton's new nymph world as she continues her adventure. I know you wanna read this, so we have an e-book giveaway through A Tale of Many Reviews! Leave your email with your name! Also, make sure to check out the other stops on this tour for more chances to win! "Cassia has always trusted the Society to make the right choices for her: what to read, what to watch, what to believe. So when Xander's face appears on-screen at her Matching ceremony, Cassia knows he is her ideal mate . . . until she sees Ky Markham's face flash for an instant before the screen fades to black. The Society tells her it's a glitch, a rare malfunction, and that she should focus on the happy life she's destined to lead with Xander. But Cassia can't stop thinking about Ky, and as they slowly fall in love, Cassia begins to doubt the Society's infallibility and is faced with an impossible choice: between Xander and Ky, between the only life she's known and a path that no one else has dared to follow." Dystopian societies are always really fascinating to me, so when I came across this book I was super excited. I wanted to love this book so much, but after reading it I was left unfulfilled. The story opened well and I liked the idea of being matched and all that, but everything else fell pretty flat for me. I kept questioning things in the book when I just couldn’t understand why some things weren’t allowed. One of the biggest questions I have is, why couldn’t Cassia really understand writing or creating? They’re aware of the concepts of doing so, but they just don’t do it. I didn’t like that anyone never questioned anything before this point. I felt like a lot of areas could’ve used more detail. Story and character wise, stuff was left pretty underdeveloped for me. I understood that their society was very controlled, but they never explained what the sorting was all about. Was it numbers? Patterns? Pictures? The screens from The Matrix? I was also curious behind the idea of “Abberations”, but again there wasn’t much information behind why people were certain things. Okay, sure Cassia was decently developed, but I never had a good sense for who the guys were. I would start making my own developments for the guys because I had very little to go on. Everyone knew of the rebellions happening, but there wasn’t anyone who ever questioned it? Oh, and why can’t people go to each other’s homes? There weren’t too many issues with Cassia for me. I didn’t really care for her or relate to her, but I also didn’t dislike her. She was just sort of there. As far as her and her relationships go, I felt like she was kind of naïve in being careful at times. Like really, she’s surprised The Society knew stuff? Really? They watch her sleep, she really think they don’t see her everywhere else? Her relationships felt quick and I never really felt she was in love with a character even if she said she was. The writing style was decent, however there were a number of instances where I felt Condie tried to be poetic and deep with Cassia, but failed to do so. Cassia wasn’t deep and thought provoking when trying to talk about the sky. I’m sorry Cassia, you aren’t the first to daydream, I’m sure. I’m sure I’ll eventually read the following books just to see what happens in the storyline, but I’m in no rush to do so anytime soon. Q: If you could change the ending of any book (or series), which book would you choose? Why and to what? A: I'd pick The Hunger Game Series. Without being spoilertastic about it, the ending fell flat for me in some instances(Not for sad parts, but others). I loved the book otherwise, but once I got to the end I just wasn't completed by it.